Could sending money to a friend be as easy as sending an email? Apparently, the answer is yes. 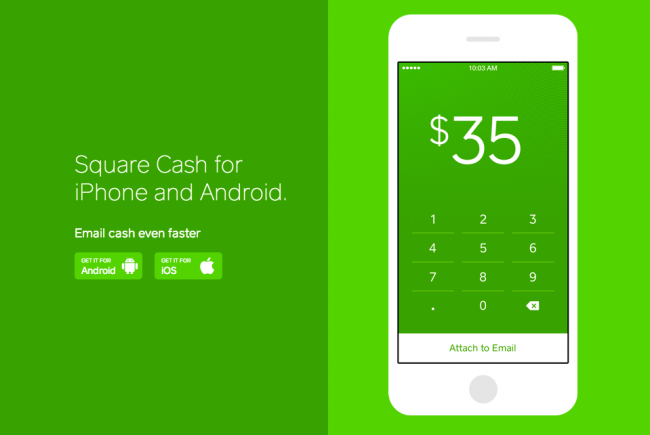 Square, the company best known for its little square card readers that many merchants have been adopting for the past couple of years, launched a new program called Square Cash. According to the product manager of the program, sending money via an email is 100% secure, and can be done without the need of an app or creating an account, as long as you have any debit card in the US. The process is super simple – all you do is compose an email to the person you want to send money to, with a cc to Square. Enter in how much you would like to send in the subject line, then send. If it’s your first time using the service, you will be prompted to head to Square’s website and enter in your debit card number, but after that, all of the info is stored for easy access the next time around. On your friend’s end, they too have to enter in their debit card number, and in 1-2 business days, the money is in their account. There is no processing fee, account creation or anything else. Quick and simple money transfer. Square released an application for the service, which basically does all of the work for you, plus has a nice interface. Just put in the amount, which friend’s email you want to send it to, and you’re done. As for any type of trickery, as in email spoofing, Square insists that the service is 100% secure, but did not go into what steps they took to ensure against evildoers. The need for secrecy is high, considering you wouldn’t want baddies knowing what exactly they need to overcome if they would want to take advantage of the service. For now, you are taking Square’s word for it on being secure. Another thing to remember is that Google Wallet also has this feature, but of course, you do need to have a Google account and a bank account attached to it. Same goes for many of the other peer-to-peer cash sending services that are currently available. Sound like a cool program? Check out the app on Google Play.